Lucía was a successful singer until separation of the duo that had made her a sensation and earned her fame drove her to a somewhat marginal position in the industry. Now she lives a more stable life, married and with two children, retired from the world of show business. But the plans of an old boyfriend from the days of her youth to make a small concert tour of several Spanish cities give her the excuse to get back onto the road. About to turn 40, the two will have to bear the intimate price of giving up on their life ideals. 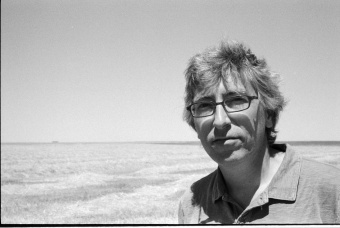 David Trueba debuted in cinema in 1996 with La buena vida (The Good Life), presented at the Quinzaine des Réalisateurs in Cannes. Some of his most notable films are: Soldados de Salamina (Soldiers of Salamina, 2003), screened in Un Certain Regard at Cannes, Bienvenido a casa (Welcome Home, 2006), Best Director Award at the Malaga Festival, La silla de Fernando (2006), co-directed with Luis Alegre and screened in Zabaltegi at San Sebastián, Madrid, 1987 (2011), presented at Sundance and in Zabaltegi, and Vivir es fácil con los ojos cerrados (2013), which competed in San Sebastian and won six Goya awards, including Best Film. Casi 40 (Almost 40), sequel of La buena vida, won the Special Jury Prize at the Malaga Festival.